Get to know the physical therapists that you'll see at Track Shack events! To book an appointment with any of these physical therapists or to learn more, visit the AdventHealth Sports Medicine website. Phil received his doctorate in physical therapy from the University of Miami. He is a board certified orthopedic clinical specialist and is also residency trained. He played baseball for most of his life and enjoys living an active lifestyle. He has experience in running 5Ks and enjoys helping runner’s beat their PRs. 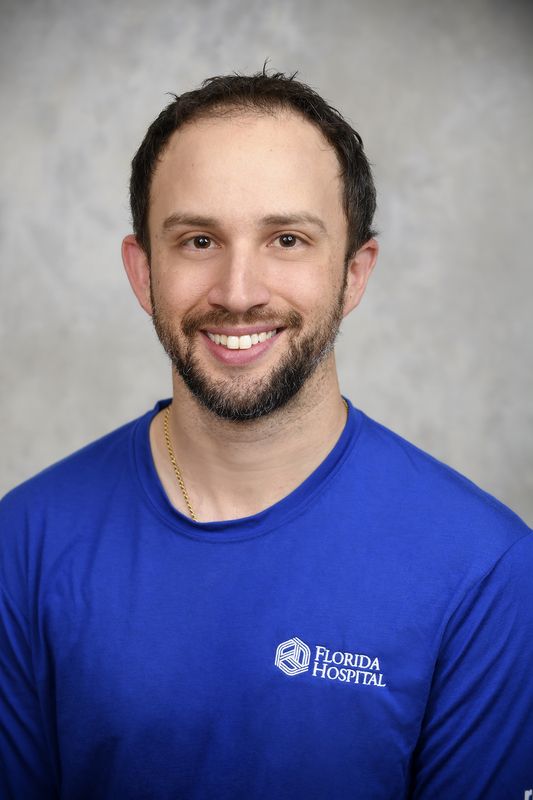 Trevor has been a licensed physical therapist for over 4 years. 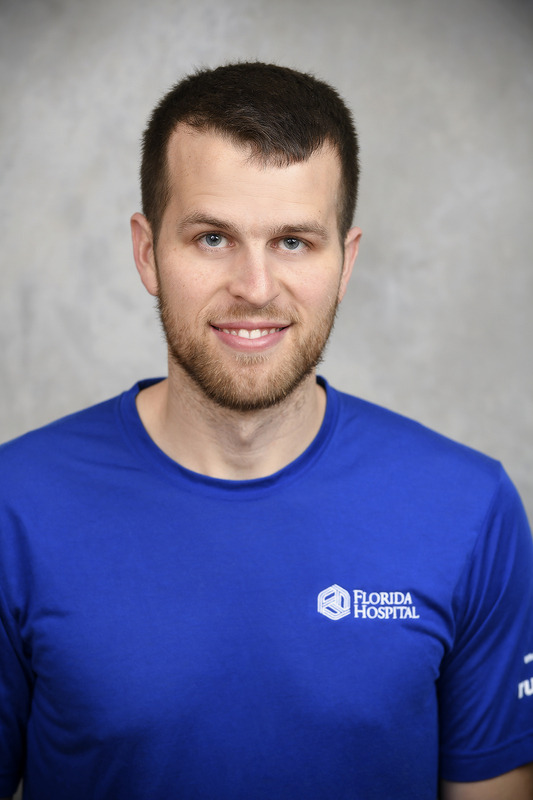 He received his doctorate in physical therapy from UCF and has many certifications including functional movement screening, neuro, and concussion. He has run many Track Shack races and completed his first half marathon in April 2018 at Disney’s Star Wars Half! Running is a passion of his and he enjoys being able to help other runners remain healthy and injury free. Trevor is located at our center on Lee Rd and Adanson in Orlando. To book an appointment with Trevor, call (407)303-8080. Sheila has been a licensed Physical therapist for over 25 years. 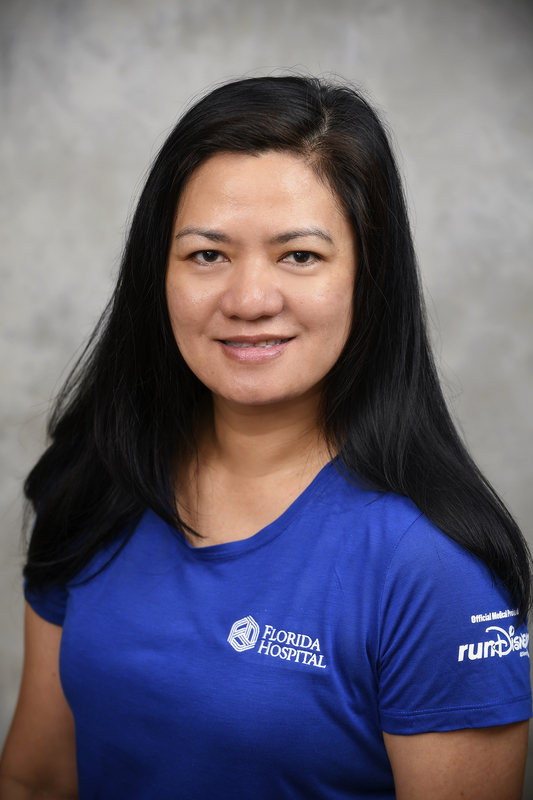 She obtained her doctorate in physical therapy from Texas Tech and has numerous certifications including strength and conditioning, board specialty certification in orthopedic physical therapy, orthopedic manual therapy through the Maitland-Australian Approach, and certification in Kinesiotaping. She has worked with many sports teams and athletes, including being a part of the medical team at the 2000 and 2004 Summer Olympic Games. 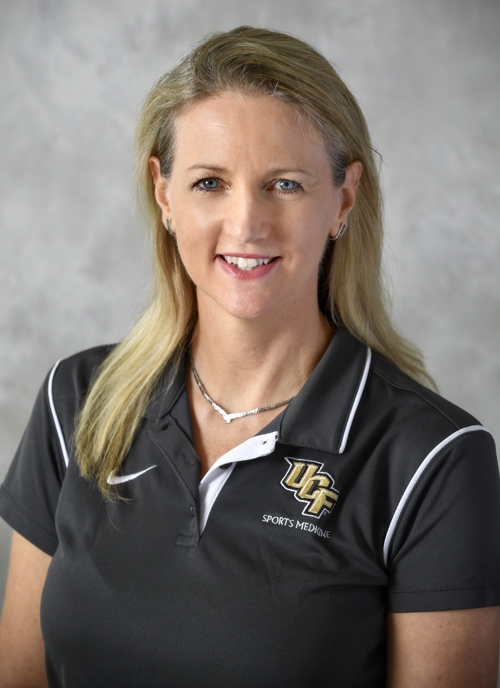 She currently provides physical therapy services for the UCF athletics department as well as all of the UCF students, staff and faculty. Sheila has been a competitive swimmer since the age of 5 and competed all the way through college at N.C. State. She has run all 5 of the Disney Princess 10Ks and is active in running, circuit training, yoga and more! She loves helping athletes come back from injuries even stronger than they were before. Sheila works out of our center on the UCF campus and is dedicated to caring for the UCF athletes as well as the students and staff there. She is unable to treat patients in her center who are not UCF students, faculty or staff, but can often be found at the Track Shack races and in-store screenings. Doug is a licensed physical therapist and certified athletic trainer. 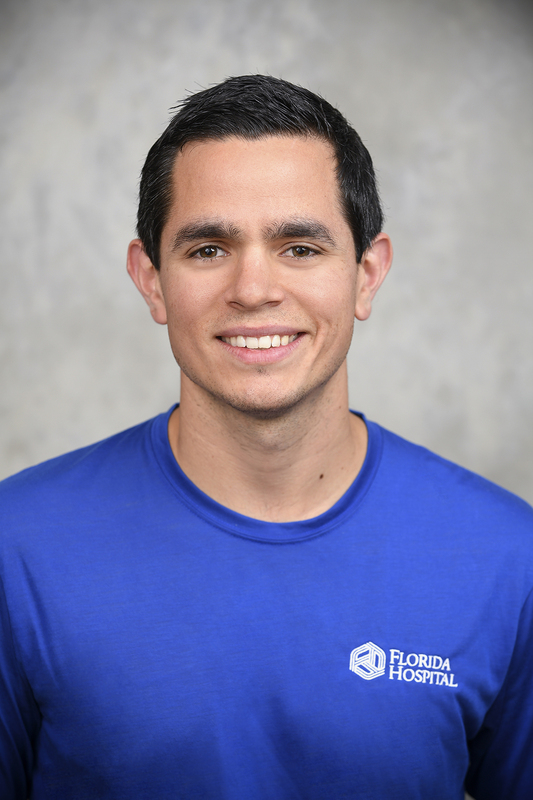 He received his undergraduate degree from the University of Central Florida and his master’s degree in physical therapy from the University of St. Augustine for Health Sciences. Doug has extensive experience working with the NFL and Cirque Du Soleil, as well as being an endurance athlete himself. He has completed numerous Track Shack races throughout the years including the OUC Half Marathon, Winter Park Road Race, and many more. Doug is located at our center in Winter Park, right next to the Winter Park Memorial Hospital. To book an appointment with Doug, call (407)303-8080. Julian received his doctorate in physical therapy from the University of Miami. He is a board certified orthopedic specialist as well as a certified strength and conditioning specialist. He has always lived an active lifestyle and encourages his patients to do the same. Julian is located at our Waterford Lakes center. 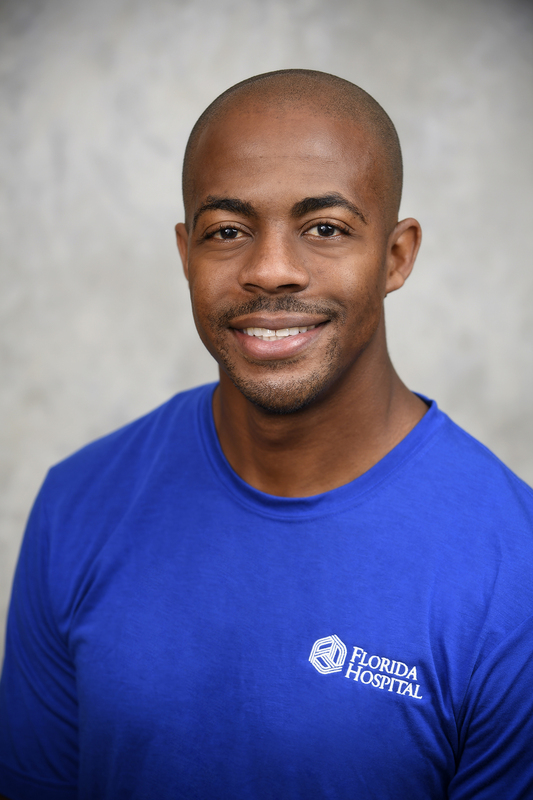 To book an appointment with Julian, please call (407)303-8080. Dobbie has been a licensed physical therapist for over 20 years. In addition to receiving her doctorate in Physical Therapy from Dominican College, she is also board certified in orthopedics. Physical therapy is her passion and she loves to treat all types of orthopedic cases. Dobbie lives an active lifestyle and love to encourage her family, friends, and patients to do the same. Dobbie is located at our Kissimmee center – in the Medical Office building on our Kissimmee hospital campus. To book and appointment with Dobbie, please call (407)303-8080. Justin is located at our center in Winter Park, right next to the Winter Park Memorial Hospital. To book an appointment with Justin, call (407)303-8080.